This French Bulldog nicknamed Cherokee sold and went to a new family. Sale Pending! 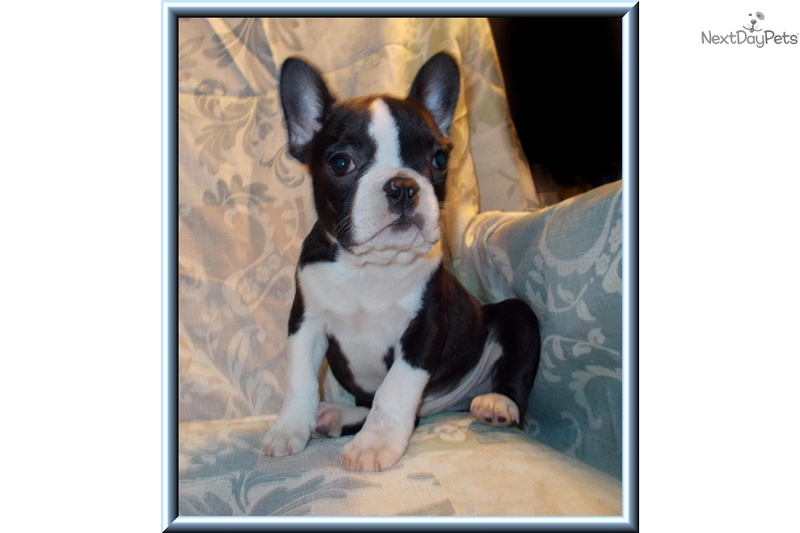 Fiesty Male Frenchton Puppy. Cherokee was born on 10-20-2016. He is a playful, sweet and gentle. Cherokee is curious and loves a warm lap. He loves to play, but is beta and is mostly black and is boston marked. Cherokee is small but has a stocky build. His ears are already standing. All shots and wormings are up to date and he will have a Florida Health certificate before he goes to his new home. Cherokee is CKC registered. Mom is a red and white frenchton and dad is a black brindle frenchton. We are located outside of Marianna FL. Your pup must be picked up in person or by authorized agent/proxy. We will drive out a reasonable distance for a reasonable fee in order to facilitate delivery. Please email me for additional pictures.